At the time of the Maps Collection establishment in 1948 it consisted of 1500 volumes. Gradually it gets richer and develops as the best completed collection in the country – over 9850 atlases, maps and globes. The Collection is a mine of information of the history, geography and ethnography of our country and of the countries on the Balkan Peninsula, Europe and the other continents. The collection of old maps is extremely valuable. There are reproductions and original maps by the world-known cartographers Peter Apianus, Abraham Ortelius, Sebastian Munster, Gerhard Mercator, etc. The collection houses a fragment of the Cosmographie by Munster, issued in 1550, where there is a short description of Bulgaria. From the maps issued in 19th century, the map by Lapie – a French officer in the Napoleon corps, issued in 1822, deserves special attention – it is the basis of the first Bulgarian map by Alexander Hadjirusev. Also of great interest is the map by Felix Kanitz that served in determining Bulgarian borders at the Berlin Congress in 1878. We also hold the so-called “Triverstian map” worked out by the Russian troops during the Russian-Turkish Liberation War (1877 – 1878). From the Bulgarian maps published before the Liberation of Bulgaria, the collection houses the maps by Demeter Angelidev (1862), Hristo G. Danov (1863), Vasil D.Stoyanov (1863). Of great interest for the readers are the maps by A. Krivoshiev (1892), Y. S. Kovachev (1890), I. Dankov (1906), etc. issued immediately after the Liberation of Bulgaria. Nowadays the Library keeps the whole contemporary Bulgarian cartographical production and many foreign editions. In 1948 the Graphics Collection consisted of 1985 volumes of albums and reproductions. Gradually it gets larger and exceeds 134 950 units. It includes the whole contemporary Bulgarian printed graphics and many foreign richly illustrated editions. The Department houses a large number of prints and lithographs from the time of the Bulgarian National Revival, some of them are the only ones in the country. We should mention the unique imprint of the oldest dated “St. Ivan Thaumaturgy” Rila monastery print of 1791, as well as the prints from the Samokov School most of which are hand-colored. Particularly valuable are the lithographs by the Revival painters Nikolai Pavlovich, Henrih Dembicki, Georgi Danchov, etc. The art albums collection with reproductions by Bulgarian and foreign painters and world-known galleries is very rich. The collection of topic and documental albums, and of albums on native country studies is also well completed. We have a collection of richly illustrated temporary exhibitions catalogues, and monographs on painters or on different art trends, accompanied with luxurious reproductions. The portrait collection comprises almost all printed portraits issued in Bulgaria. The Department houses photomechanical reproductions of fine art /paintings, drawings, sculpture figures and objects of decorative and applied arts/, panels, Bulgarian posters, illustrated post- cards, slides, exlibrises. Maps and graphics began to come in the Library collections from its establishment in 1878. Many years they have been housed in the general collections. Not until 1948 the maps and graphic publications were set apart in separate collections and were united in Maps and Graphics Department. 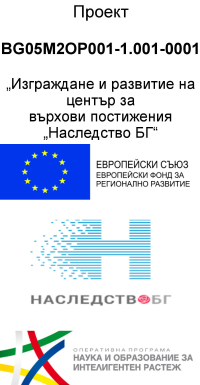 The Department has the task to complete and preserve all Bulgarian graphic and map publications and the main foreign publications of great importance, to describe them and reveal their contents through a reference mechanism of catalogues and card index systems. Graphic publications are presented in two series: albums and graphics. The album collection is described in the following catalogues: An alphabetical catalogue, where cards are arranged by the names of authors or painters, and by the title of the album if there is no author or it is a team. A systematical catalogue, where descriptions are arranged in groups according to their contents. Graphics are presented in the following catalogues: An alphabetical catalogue that includes reproductions, portraits, posters, slogans and panels. The great number of portraits and reproductions has contact copies, which are attached to the description and give a direct visual idea of the publication. A systematic catalogue divided in the following series: reproductions, portraits, social and political, information and advertisement, instruction and technical posters and panels, movie and theatre posters and slogans. �������-���������, ����. ����� �� ������������ ������, ����������� � ��������� ���������� “����� � �������”. � �������� ������ �� ��-������� ����� � ������.-� � �. ����, 5/16/, 1965, �. 167-269. Cartographic and graphic collections may be used only in the departmental reading room. Working time: Monday – Friday, 08:30 a.m. – 05:00 p.m.